The Maine-Endwell School District has launched a new app that is now available for iOS™, Android™, and Windows™ devices. 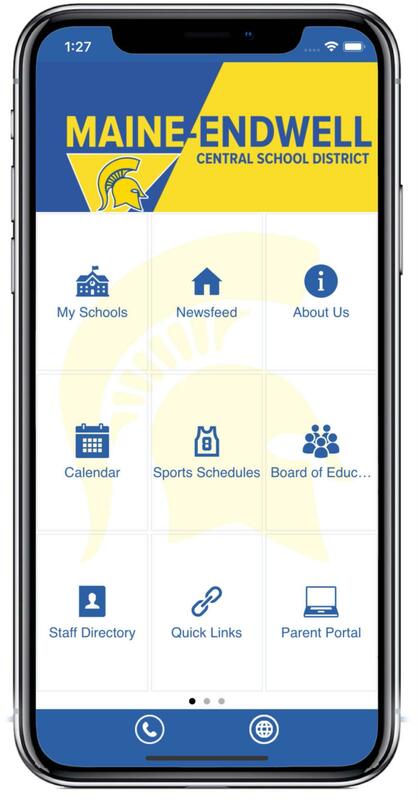 The app gives parents, students, and staff the ability to stay connected and informed about what’s happening throughout the school district and in each district school. The Maine-Endwell app by esv2go is free and provides parents with quick and easy access to school-related information including calendars, events, news, menus and more! Notifications make it easy to stay on top of what’s going on in the district and in the classroom. You can manage your notifications within the app "My Alerts" setting. Click on the links below to download the app today! PLEASE NOTE: You will need to download the app from your device!